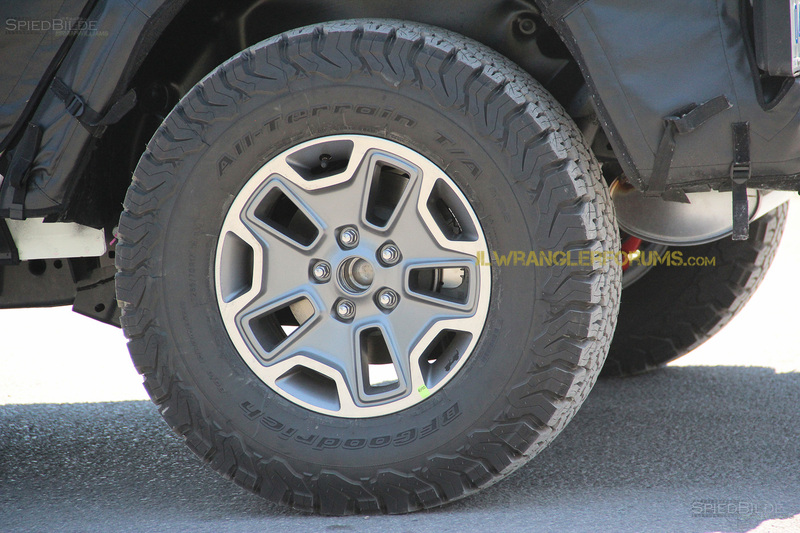 Some spy photographer images captured of the 2018 JL Wrangler testing have given us some insight into the tires that the next generation Wrangler will be using. 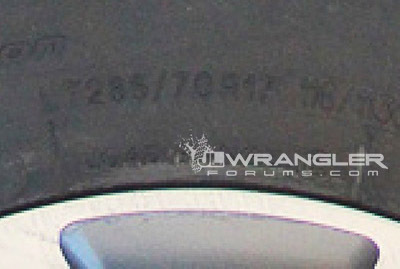 Originally reported on by JLWranglerForums, it seems that recent spy photos could be shedding some light on important details of the upcoming JL Wrangler’s off-road capability. The spy photos indicate prototype JLUs have been running 285/70/17 tires. The current factory tires range in width from 225-255, making the new tires 1 – 2 inches wider. In addition, the new tires sit at 32.71-inches, compared to the current Rubicon tires that are 32.05-inches. The slight bump in height brings the factory tires closer to the 33-inch tire choice, that most enthusiasts comfortably run on current Wranglers.The slightly wider and taller tire also translates to better off-road performance, providing Jeep owners with a wider foot-print, when aired-down, for traction and slightly better ground clearance while on the trail. Rumors also indicate that the JL Wrangler will retain the legendary solid axle design, allowing it to articulate and provide enthusiasts with great off-road capability and foundation to upgrade. Recent Wrangler limited editions like the Rubicon Recon, have demonstrated Jeep’s commitment to the brand’s off-road capability, by offering a beefier housing tubes and heavy-duty end forgings. For a short time early on, there was heavy speculation that the 2018 Wrangler was going to switch to running an independent suspension setup. Despite the limited benefits of that design, it looks like Jeep will continue to employ the durable and reliable solid axle design, much to the relief of many Jeepers. In addition, the differential covers are constructed of a heavy gauge steel casting. These recent upgrades, during the transitional point of the model lineup, are good indicators of Jeep’s overall direction and determination to maintain the Wrangler ‘s legendary off-road capability. What are your thoughts on these updates to the 2018 Wrangler? Is this going to be the most off-road ready and dominant Wrangler yet? Comment your thoughts below! Do the new Jeeps have the Dana 44 option in their automatics? New jl Rubicon, one word-AWSOME. Go anywhere,do anything Jeep.